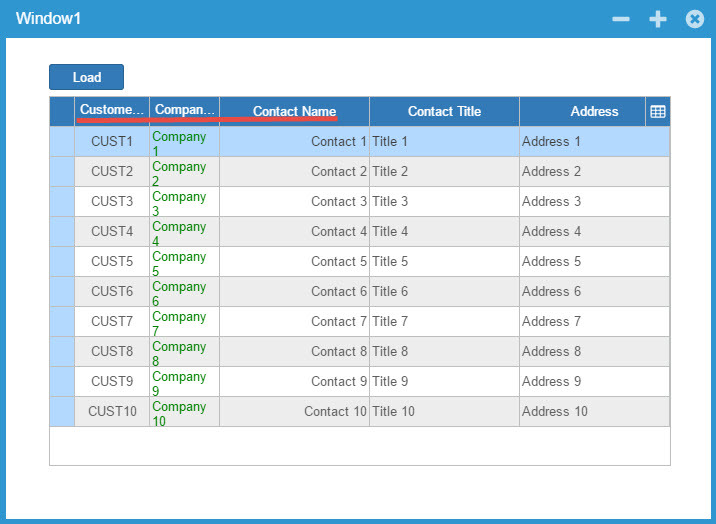 ThemeBuilder -> Table Link Cell -> Cell ->Properties. Add “textColor = SteelBlue”. It shows up in ThemeBuilder but at runtime, the “textColor” only changes when mouse is hovered and returns to gray when mouse is moved out of the cell. I was expecting that it will always be SteelBlue. Event is fired but doesn’t change formatting until after I refresh the browser (IE, Chrome, Firefox, Edge). And it changed all the columns after the specific column I wanted changed. The size modes are still not completely implemented. They will be gradually updated in the upcoming builds. LinkColumn and CellFormatting are now fixed but noted other issues though. Also, can’t resize the height of the column header even the ColumnHeadersHeightSizeMode is set to EnableResizing but can still resize row width even if the RoHeadersWidthSizeMode is set to DisableResizing. logged as WJ-7431, fixed in build (1.2.25). Sorry this issue is taking a while. Working on it.